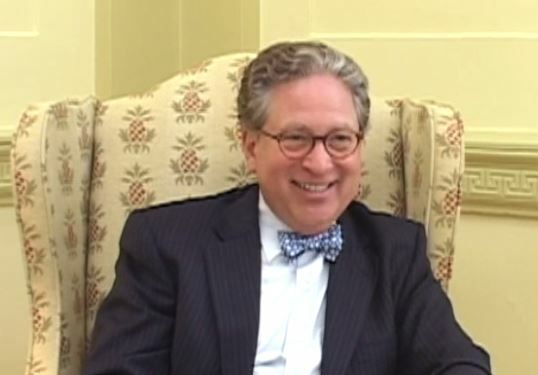 Listen to an audio recording of an oral history with Roanoke Juvenile and Domestic Relations Judge Philip Trompeter, interviewed by Dr. Cassandra Newby-Alexander, Professor of History at Norfolk State University, at the Supreme Court Building in Richmond. Transcript below. Trompeter recalls his early years living in downtown Roanoke, where his parents operated a bakery; his parents, both of whom were first-generation Jewish immigrants to the U.S., and attending college at New York University and law school at the University of Richmond. He reflects on his experiences working on revisions to mental health legislation in Virginia in the early 1980s, his appointment to the bench, and his experiences as a Juvenile and Domestic Relations judge in Roanoke.